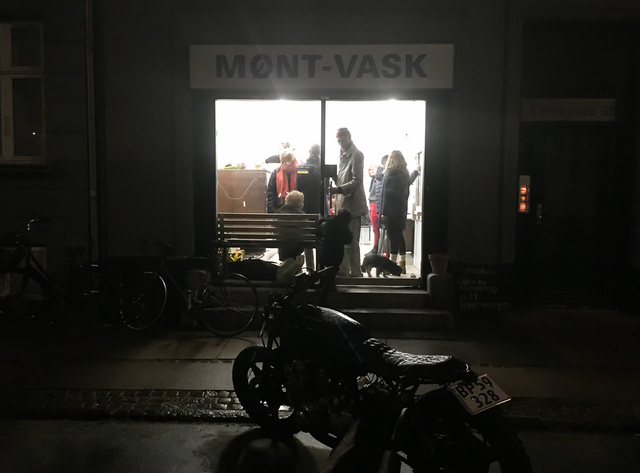 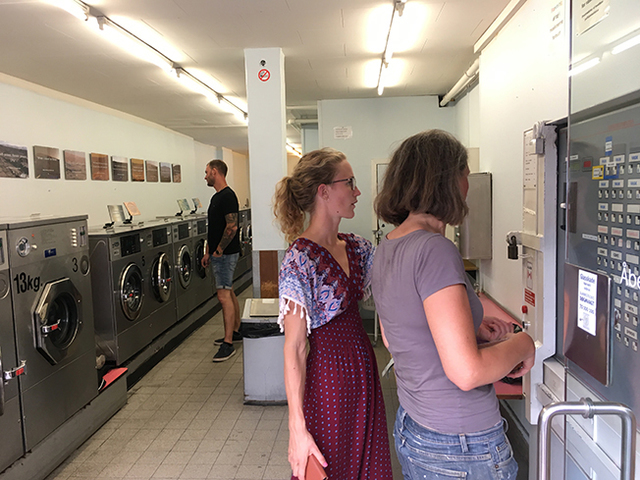 Ta·da is an exhibition space, run by Rikke Goldbech and Anne-Louise Knudsen, currently located in a laundromat in Copenhagen, DK. 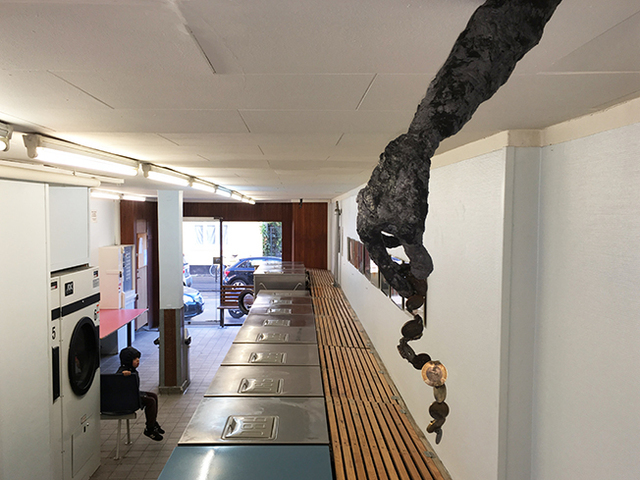 The exhibitions always consist of 9 x A3 formats placed above the washing machines. 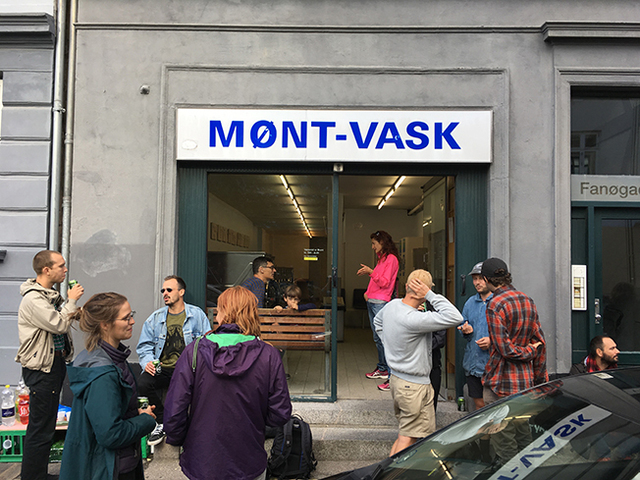 Furthermore, the exhibiting artists both local and international, have interacted differently with the space; showing live streamed performances, film screenings, sculptural objects and launching a newspaper, to mention but a few. 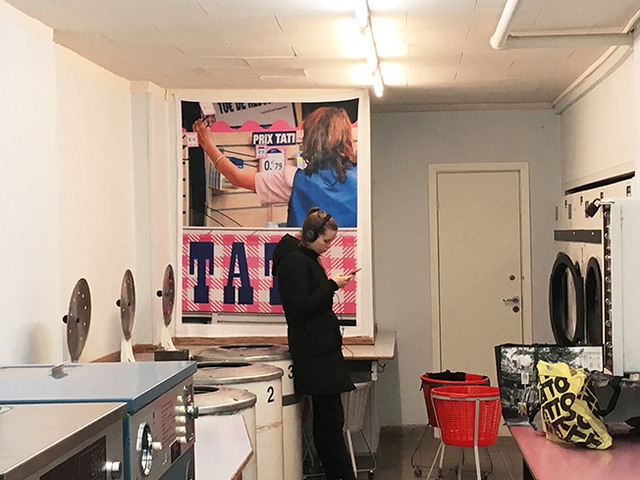 The laundromat breaks with the notion of a traditional exhibition space, being a public space usually stripped off any information not relating to laundry; at Ta·da art interacts with the daily life of the laundromat. 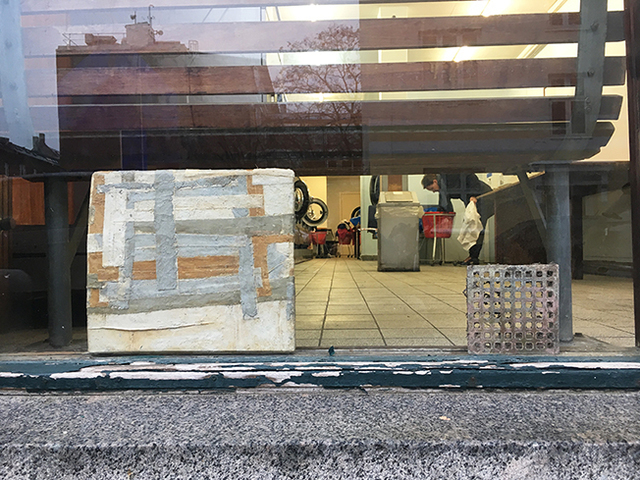 The project is community-based and relates to a local location, this vision is more important than a fixed space for Ta·da.